Hiring Drivers and Material Handlers - Apply today! We always accept applications from people who want to work with us who would fit in well at Kenroc. Duties will include loading and delivery of various building materials into construction sites and the operation of delivery equipment such as articulated truck mounted booms and ride-along forklifts. Heavy carrying and lifting is required. 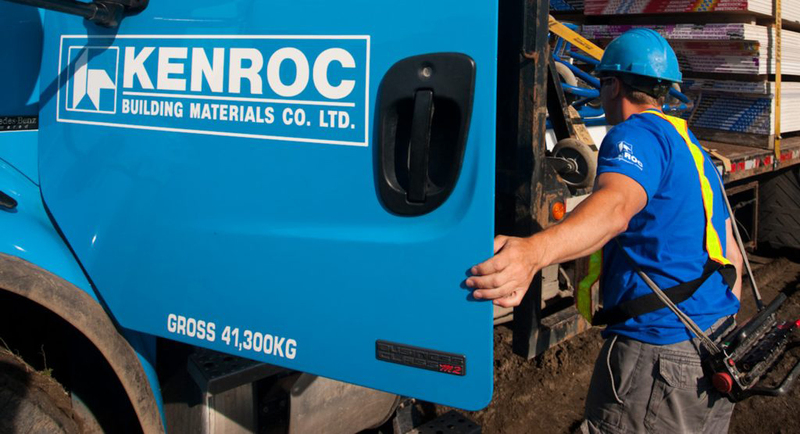 A current driver abstract and licence is required when applying, however, Kenroc is willing to provide on-the-job training to appropriate candidates. Scroll down for contact information for each Kenroc location.